Being fooled or conned can happen to anyone; It doesn't matter how intelligent, old, rich, or famous you are. Whether you have been scammed in business, swindled out of money, betrayed by a friend, relative, or coworker, or cheated on by a spouse, rest assured you are not alone. The world is full of these most toxic people--liars. You can never be sure if people are lying until you analyze their body language, facial expressions, speech patterns, even their online writing patterns. 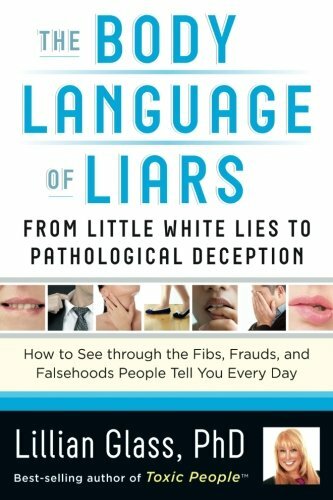 Now, world-renowned body language expert Dr. Lillian Glass shares with you the same quick and easy approach she uses to unmask signals of deception--from "innocent" little white lies to life-changing whoppers. Featuring photographs of celebrities and newsmakers such as Bill Clinton, Lance Armstrong, O.J. Simpson, Kim Kardashian, Lindsay Lohan, and many others at the actual moment they were lying, their specific signals of deception will be permanently etched in your mind. Analyzing the body language of troubled or divorced couples such as Arnold Schwarzenegger and Maria Shriver, Katie Holmes and Tom Cruise, and Ashton Kutcher and Demi Moore, you'll learn the "obvious" signs to look for. If you have any questions about this product by Brand: Career Press, contact us by completing and submitting the form below. If you are looking for a specif part number, please include it with your message.